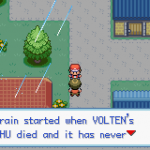 Like you see, Pokemon Adventure Blue Chapter post includes parts: Description (Story/Plot included in this part), Screenshots, Images, How to download. If some trailers are not available, we will add later. 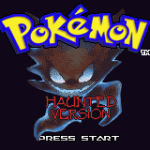 A Pokemon ROM/Game hack by c067912881 using Pokemon Fire Red Codebase/Engine in English. It is available to download now. The last update happened on January 24, 2018. 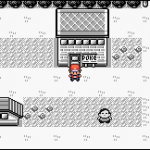 Pokemon Adventure Blue Chapter: All of us are familiar with the Pokemon Adventure Manga with Red, the main character who destroy Team Rocket with his companions. 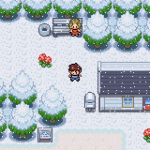 Well, one more time we’ll enjoy the experience and feeling of playing the Pokemon Adventure – Blue Chapter. 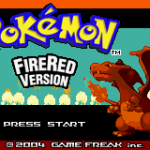 This game has the same origin with Pokemon Adventure – Red Chapter: made from FireRed. Wait, don’t you notice a difference here? 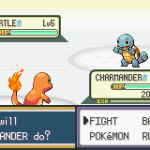 Yes, you’ll play as Blue… not Red anymore. 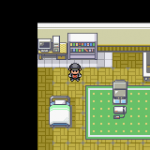 You’ll be the lone, arrogant trainer Blue – who is a nephew of Professor Oak. 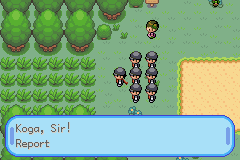 Along with your Pokemon, you’ll meet and fight against Team Rocket with other opponents. 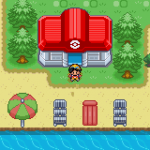 After many years of training, Blue come back to Pallet Town. 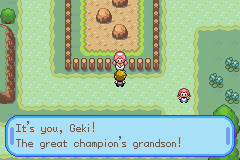 At that time, he wants to continue his grandfather’s dream: become the champion of Kanto. 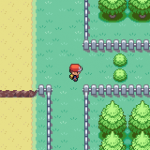 He meet his life rival, none other than our Red. Two of them chase that dream together. Will they success? 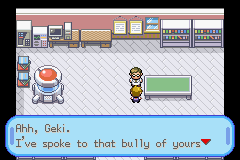 This game follows the Manga exactly. 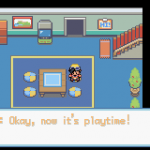 Some more events to make the playing hours become longer have been added. 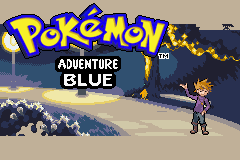 Only Blue is playable, no one else. 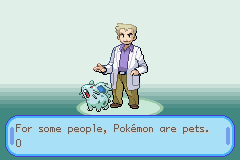 Finally, not all Pokemon are catchable. 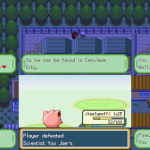 Like the Manga, Blue will use Scyther to be his starter. Its basic stats are increased. Blue and Green will usually appear, much more than normal. There some optional events which can change the main storyline. Be sure to take it if you want to play the game with your own ways. The conversations of our Blue is marked in colored text. The HM Fly cannot be used yet. 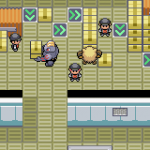 Some trainers have their own special Pokemon for battling. 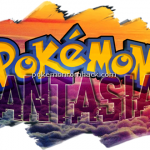 There are 3 new Pokemon types: Fairy, Shadow, Glitch. You can travel to Decolore Archipelago. 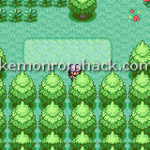 The attacks and abilities of Gen VI are in this game. 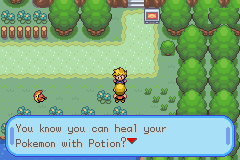 Some Mega Evolution for Charizard, Scizor, Butterfree, Rapidash, Porygon.